Pershing Square will pay modest dividend – Pershing Square Holdings has initiated a quarterly dividend of $0.10, representing a current yield of 2.5% (based on the closing price of $15.70 on 12 February 2019). 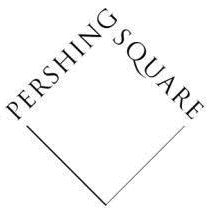 The idea is that instituting a quarterly dividend will expand Pershing Square’s investor base by attracting shareholders who prefer or require dividend-paying equities. The hope is that expanding the investor base may, over time, assist in narrowing the discount. For the calendar year 2019, the dividend will be paid in March, may, August and November. Shareholders may automatically reinvest cash dividends into Pershing Square’s shares through a dividend reinvestment programme (“DRIP”), which will acquire shares in the market to fulfill DRIP demand. Shareholders who would like to participate in the DRIP should follow the instructions found here https://pershingsquareholdings.com/psh-dividend-information/. Dividends will be paid in US dollars unless a shareholder elects to be paid in GBP. Interested shareholders must elect GBP no later than the Currency Election Deadline. Further details about the currency election, including how to select GBP, are available at Pershing Square Holdings’ website https://pershingsquareholdings.com/psh-dividend-information/. the Company’s total indebtedness will be less than one third of the company’s total capitalisation after the payment of the relevant interim dividend. the payment dates may change at the board’s discretion and each dividend will be subject to certain conditions being satisfied. The investment management agreement has been amended to facilitate the dividend payments. Decisions about paying dividends will be made by the board with the consent of the investment manager.